“In tempore belli (in time of war), finished on Friday the Thirteenth, March, 1970” American composer George Crumb wrote on the score of his Black Angels, a string quartet inspired by the Vietnam War. This piece as recorded by Kronos Quartet on their 1990 cd Black Angels (Elektra Nonesuch) was one of the very first contemporary pieces I heard in my life. Back in the day at my high school I joined acting classes and the director there used strictly contemporary music for all his plays. That’s how Kronos Quartet came into my life. I vividly recall the excitement and goosebumps engulfing me, when I encountered Black Angels for the first time. Well, this is not for the faint hearted. Instantely I became hugely intrigued by this combination of an old world concept (the string quartet) and something completely new for content (Crumb’s score implies extended techniques all right: a.o. the use of crystal glasses, gongs, maracas, as well as shouts and whispers by the musicians). I also remember to be completely shattered after listening to Dark Angels.. and then suddenly the glorious splendor of Thomas Tallis’ 40-part motet (a nouveauté back in the early sixteenth century) Spem in alium (‘Sing and glorify’) in an arrangement for string quartet kicks in. 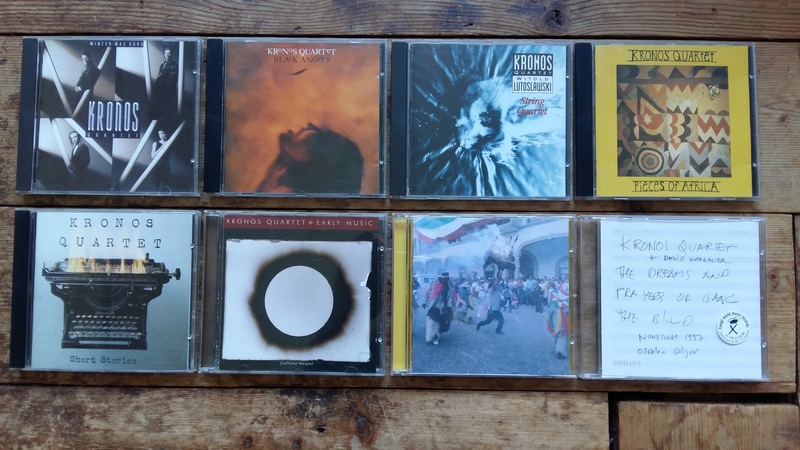 This is death and rejuvenation in the timespan of just one cd. Two years later Kronos Quartet recorded the equally brilliant cd Pieces of Africa (Elektra Nonesuch). Kevin Volans’ White Man Sleeps immediately became a heavy rotation item inside my cdplayer back in the day. Last week composer Yannis Kyriakides told me he had the same experience with Volans. Kronos Quartet became probably the best known string quartet in the world, and ofcourse some outdated snobs take this very fact as a reason to cast some doubt on their artistic credibility. Completely irrelevant and vile if you ask me. There’s no contemporary music quartet (or ensemble, for that matter) which takes such a consistent effort to promote the idea of universal composing, beyond the great, white, dead, male European composer. The integrity, audacity and sheer rigueur with which Kronos Quartet works still moves me, and their new project Fifty for the future may very well serve as a perfect example for that. Interestingly enough, Kronos Quartet also holds a strong connection with Dutch composers such as Willem Jeths and Merlijn Twaalfhoven. Can’t wait to see them tomorrow at Muziekgebouw! George Crumb, Black Angels – thirteen images from the dark land (1970), part I II III. Kevin Volans, White Man Sleeps (1985), part I II III. Kronos Quartet is artist in residence at this year’s Holland Festival. Have a look here for an interview with David Harrington (in Dutch). After the (sold out) concert on thursday at Muziekgebouw, on friday Kronos Quartet will host a coaching session with four selected Dutch string quartets at the Tolhuistuin in Amsterdam North. On saturday Kronos Quartet will do a concert at the Concertgebouw. Wim Bressers, thank you for introducing Kronos Quartet (and contemporary music at it!) in my life. Last sunday at Haarlem Hout Festival I saw Pixvae from Lyon. What a surprise: think Steve Albini’s Shellac in a head-on collision with my alltime favourite Afro-Colombian avantpunkcurrulao outfit Peregoyo y su Combo Vacana (do check out Peregoyo’s brilliant, out of this world and the next 1972 Discos Fuentes release Tropicalisimo, lovingly reissued by World Circuit in 1989). This French mathrocktrio (baritone saxophone, drums, guitar) with three Colombians (two singing and shaking ladies and one singing conguero) blew me away completely – this is fresh, loud in an elegant way and totally rocking my soul. Pixvae goes where no man has gone before allright! Their first full album will be out somewhere in october on the French Budamusique label, their Ethio imprint I believe. Until then there’s only this bandcamp demo page, but do know that you’ll have to see this live to believe it. Wat drijft de zelfmoordenaar die zichzelf voor een politiek doel opblaast? In een onderkoeld schitterende tekst neemt Nisrine Mbarki deze helaas steeds actuelere vraag onder de loep. Grafdelver Amezyan (Mohammed Azaay) beheert een begraafplaats die wordt overbevolkt door de restanten van jonge zelfmoordenaars. Met zijn kat, zijn radio en zijn herinneringen houdt hij doelbewust en succesvol het woelen der wereld op afstand. Dan verschijnt Hayat (Esma Abouzahra) op zijn grafveld, een Marokkaans-Nederlandse moeder die wanhopig op zoek is naar haar zoon die zichzelf heeft opgeblazen. Amezyan en Hayat zijn in een steeds intensere dialoog tot elkaar veroordeeld – hij getekend door een dwangmatige religie die hem de levenslust ontnam, zij getekend door de zelfgekozen dood van haar zoon. Waar Hany Abu-Assad (Paradise Now, 2005) en Arnon Grunberg (diverse voetnoten op de voorpagina van de Volkskrant) zichzelf, wellicht vanuit hun mannelijkheid, focussen op de drijfveren van de veelal mannelijke politieke zelfmoordenaar, tekent Nisrine Mbarki scherp de totale ontreddering en misère van de moeder, wiens eigen vlees en bloed koos voor de dood. Daarmee graaft deze voorstelling veel dieper dan de gebruikelijke verklaringen voor de jihadistische zelfmoordenaar, die inmiddels genoegzaam bekend mogen worden verondersteld: puberaal-hormonale energie en geldingsdrang, mondiaal onrecht, corrupte imams die listig ronselen juist in de meest radeloze segmenten van de samenleving. In zekere zin gaat deze voorstelling ook niet alleen over politiek geïnspireerde zelfmoordacties, maar over de rigoureuze beklemming van georganiseerde religie. De scène waarin Amezyan steeds waanzinniger vertelt over hoe hem iedere levenslust werd ontnomen, terwijl Hayat vertelt hoe zij onder druk haar maagdelijkheid verloor, en hoe zij later pas inzag hoe nefast deze zogenaamde traditionele rituelen voor haar eigen ontwikkeling zijn geweest, gaat bij de toeschouwer door merg en been. Je zou zelfs kunnen zeggen dat dit niet eens zozeer een voorstelling over de actualiteit van de krantenkoppen is, maar eerder een universele vertelling over de negatieve gevolgen van religie voor ieder menselijk streven naar schoonheid en waarheid. Christopher Hitchens had beslist zijn goedkeuring over deze voorstelling uitgesproken, hoewel Mbarki vele malen minder pamflettistisch, en met een subtieler oog voor menselijk onvermogen schrijft dan de gestaalde anti-religie intellectueel Hitchens. Amezyans dansende monoloog gaat als een kaasschaaf over de ziel, en ijlt nog lang na verlating van het theater na. 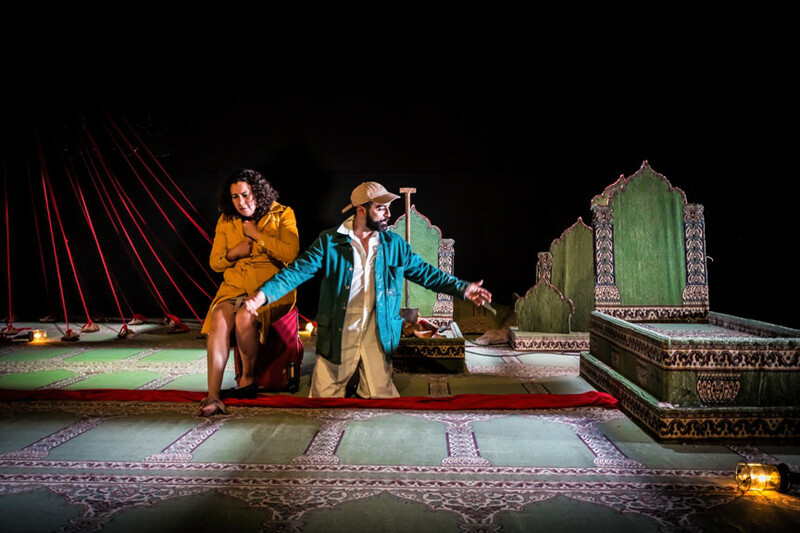 Met dank aan Touria Meliani, zonder wie ik deze voorstelling had gemist. Yesterday was a day of miracle and wonder. 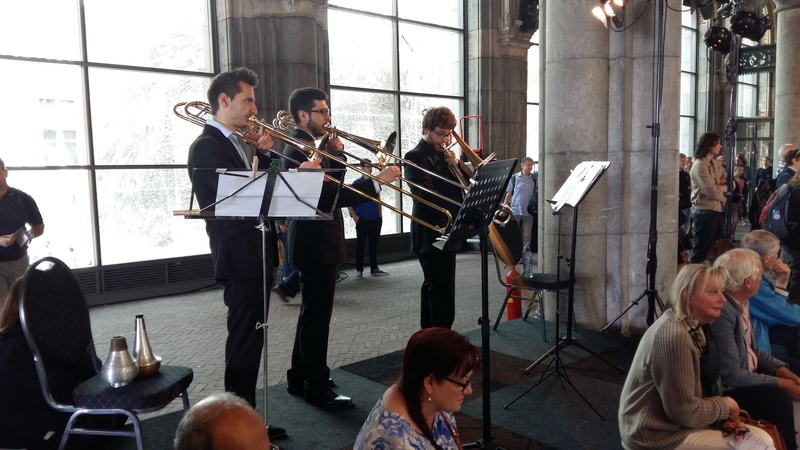 At noon I went to the Rijksmuseumtunneltje for the Holland Festival programme Brass music of the spheres, contemporary music by students of the Royal Conservatory. At night I went to the Crypt, the wonderful nightclub for indie classical. During both concerts I suddenly was struck by the notion that these musicians and composers can be seen as soldiers in an imaginary army, fighting for something completely different than bloodshed or money. With their wonderful brass instruments and voices as weapons of mass affection their battleground is not only esthetic. It actually is much more important: they demonstrate the notion of common ground, which is a concept currently under heavy attack by various neoliberal politicians. Common ground to me is the sphere wherein you are not defined as a consumer, but as a human being. Music and harmony demonstrates common ground, almost by default. 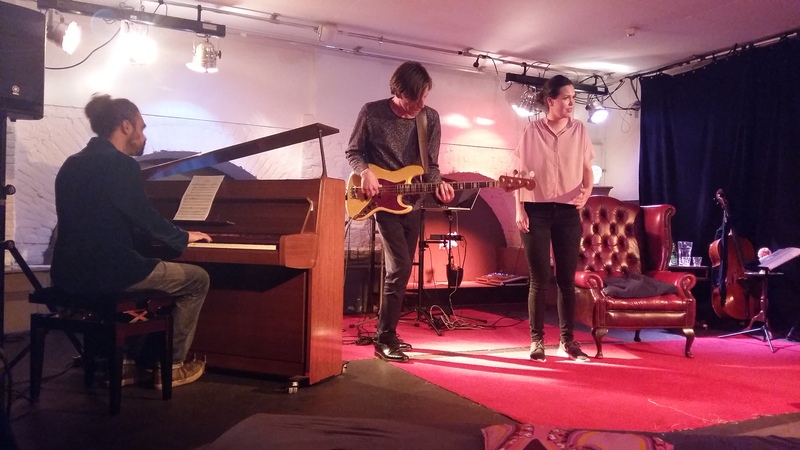 Perhaps I’m sentimental here, but what a great day for music it was..
And do visit the Crypt, I saw an opera singer performing with electric bass and piano accompaniment and the whole basement went dead silent, with one sobbing person nearby. Gorgeous music, executed with great perfection and nuance. 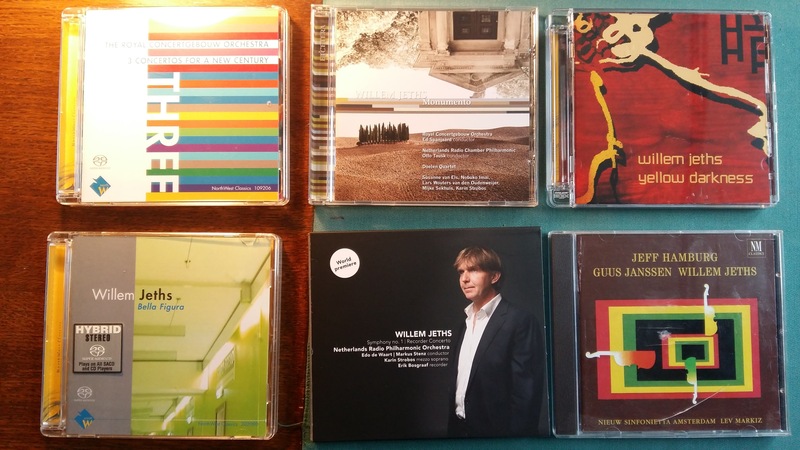 And no, no links here, indie classical is the new underground – go look for yourself and ye will find! *motto, in 1943 written by Woody Guthrie on his acoustic guitar. 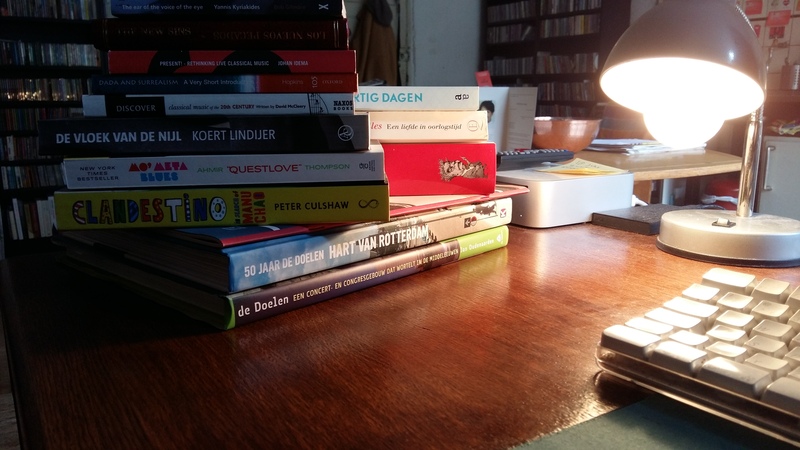 Waarover later meer, maar nu eerst over tot de orde van de dag. If you dig the bigger picture, and want to truly understand what really happened to our world since the 2008 financial collapse, this is the one Hollywood flick you should try to see. Even if you don’t find terms like quants (quantative analytics), algorhythms and high frequency trading very funky, you ought to give this one a try. It’s been a while since I saw a social satire with as much intensity and wit as Money Monster. Lee Gates (George Clooney) is a host of Money Monster, a daily tv-show for Dow Jones watchers and get-rich-soon-cravers. Clooney is at his best as a cynical, powerhungry media tycon in his own right. Suddenly, during a live broadcast, Kyle Budwell (Jack O’Connell) pops up with a gun, holding Gates hostage and demanding to keep the cameras running. Budwell has lost a lot of money when he followed up on an advice by Gates on his programme. Patty Fenn (Gates’ producer, Julia Roberts in a tailormade performance), Lee and Kyle start a complex conversation, with on the outside police forces approaching rapidly. The excellent script makes a complex international story (the financial collapse of 2008) comprehensible via vintage Hollywood strategies: celebs, a great, intelligent story, emotional tension and relief. After Clooney’s own brilliant black and white social satire Good Night And Good Luck, concerning the origins of mass media manipulation, Hollywood’s most engaged star actor takes another level for his statements. Some of these statements really stick after leaving the cinema. Did we the people really believe the explanation that it was a glitze in computer software used by trading companies which are to be held responsible for the tremendous losses? Which HFT companies have been taken to court? And why do we blame ‘bankers’ as an abstraction, a depersonalized version of Evil, while at the same time keep on trying our luck at stock exchanges? In one brilliant shot, the camera is on all of us. One of the more off beat questions I’m asking myself after seeing this movie is: how the hell can it be that now in the Netherlands we are engaged in petty discussions how, where and how much pocket change money we ought to spend on culture (in the last weeks, the major cities excluding Amsterdam have published their advices for government arts budgets, 2017-2020), whereas the big boys and girls on Wall Street keep on spending millions, killing foreign companies and even nations (I cry for you Greece) just to keep shareholder value maximization up and running?